user information – Holy Hash! There is news that women’s clothing website Unique Vintage has sent notifications to the customers that the site has been breached and the customer information was exposed. What is interesting is that the website is fully PCI compliant, i.e. it follows all rules for security set forth by the credit card industry. And still, it appears, the credit card numbers, among other information, were stolen. And this went on for more than a year and a half before being detected. 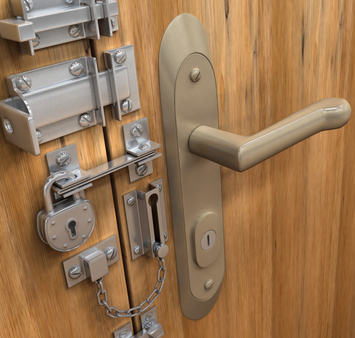 There is no substitute for proper design and security diligence. Following the rules set in a book will only get you so far. The attackers do not follow any book strictly, so you should not. Passwords remain the main means of authentication on the internet. People often forget their passwords and then they have to recover their access to the website services through some kind of mechanism. We try to make that so-called “password recovery” simple and automated, of course. There are several ways to do it, all of them but one are wrong. Let’s see how it is done. If you did not read Part 1 – Secret questions and Part 2 – Secondary channel, I recommend you do so before reading on. Let’s assume we are putting together a website and we will have passwords stored in a salted hash form and we identify the users with their e-mail address. I will describe what I think a good strategy for password recovery then is and you are welcome to comment and improve upon. Since we have the users’ e-mail addresses, that is the natural secondary authentication channel. So if a user needs password recovery, we will use their e-mail to authenticate them. Here is how. The user will come to a login page and clicks the link for “forgot password” or similar. They have to provide then an e-mail address. The form for e-mail address submission has to have means of countering automated exhaustive searches to both lower the load onto the server in case of an attack and provide some small level of discouragement against such attacks. There are two ways that come to mind: using a CAPTCHA and slowing down the form submission with a random large (an order of seconds) delay. Let’s not go into the holy war on CAPTCHA, you are welcome to use any other means you can think of and, please, suggest them so that others can benefit from your thoughts here. You should also provide an additional hidden field that will be automatically filled in by an automated form scanning robot, so you can detect that too and discard the request. Anyway, the important part is: slow down the potential attacker. The person going through recovery will not mind if it takes a while. As the next step, we will look up the user e-mail address in the database, create a random token, mail it out and provide the feedback to the user. The feedback should be done in constant time, so that an attacker does not use your recovery mechanism to collect valid e-mail addresses from your website. The process thus should take the same time whether you found the user or not. This is difficult to get right and the best solution is to store the request for off-line processing and return immediately. Another way is to use the user names instead and look up the e-mail address but a user is more likely to know their own e-mail address than remember their user name, so there is a caveat. If you cannot (or would not) do off-line processing of requests, you should at least measure your server and try to get the timing similar with delays. The timing of the server can be measured fairly precisely and this is difficult to get right, especially under fluctuating load but you must give it a try. Still, it’s best if you keep the submitted information and trigger an off-line processing while reporting to user something along the lines of “if your e-mail is correct, you will receive an automated e-mail with instructions within an hour”. The feedback should never say whether the e-mail is correct or not. Now we generate a long, random, cryptographically strong token. It must be cryptographically strong because the user may actually be an attacker and if he can guess how we generate tokens and can do the same, he will be able to reset passwords for arbitrary users. We generate the token, format it in a way that can be e-mailed (base64 encoding, hex, whatever) and store it in a database together with a timestamp and the origin (e-mail address). The same token is then e-mailed to the e-mail address of the user. The user receives the token, comes to the website and goes to the form for token verification. Here he has to enter his e-mail address again, of course, the token, and the new password. In principle, some measure against the automated searches is in order here too, to lower the load on the server in case of an attack. The tokens are verified against our database and then the e-mail is checked too. If we see a token, we remove it from the database anyway, then we check if the e-mail matches and we continue only if it does. This way, tokens are single use: once we see a token, it is removed from the database and cannot be used again. Tokens also expire. We must have a policy at our server that sets the expiration period. Let’s say, that is 24 hours. Before we do any look up in our token database, we perform a query that removes all tokens with a creation timestamp older than 24 hours ago. That way, any token that expires is gone from the database when we start looking. Well, now, if the token matches and e-mail is correct, we can look up the user in our passwords database and update the password hash to the new value. Then, flush the authentication tokens and session identifiers for the user, forcing logout of all preexisting sessions. Simple. If you did not read Part 1 – Secret questions, I recommend you do so before reading on. A second way to do recovery is to use a secondary channel for authentication. Once authenticated on this secondary channel, the password for the primary channel can be changed. The secondary channel may be slower and more cumbersome but since it is used rarely it is not a problem. You could ask the person to call user support. The user support would ask some questions for personal information and compare the answers with what they have on file. That would effectively reduce the system to the “secret questions” described in Part 1. There are better (and cheaper) ways to do it. Historically, the server usually stores the e-mail address of the user provided at registration. That is what becomes the secondary channel. Although it is still over the Internet, but capturing the e-mails on their way to the intended recipient is not a trivial task unless you control one of the nodes through which the e-mail would be routed. Originally the passwords were stored in plaintext at the server and the user could request the password to be e-mailed. Some services still operate like that. The notorious Mailman list server e-mails you your plaintext password once a month in case you forgot it. That is a convenient way but has a bit of a security problem, of course. Should the password database be recovered by an attacker, all passwords to all accounts are immediately known. On the other hand, it has the advantage that user passwords are not really changed, so if someone requests a password reminder, the original subscriber will receive an e-mail and that’s all. The inventive thought then went to the idea of hashing the passwords for storage, which is a great idea in itself and protects the passwords in case the database gets stolen. It has a side effect that suddenly the password is not known to the server anymore. Only the hash is. That is sufficient for the authentication but isn’t very helpful if you want to mail out a password reminder. So, someone had a bright idea that the password reminder should become a password reset. And what they did is: when a user requests, the server generates a new password, sends it to the user, and changes the hash in the database to the new password’s hash. All secure and … very prone to the denial of service attacks. Basically, anyone may now request a password reset for any users at will and that user’s password will get changed. Very annoying. So we went further and decided that changing the password is not such a good idea. What we do then is make a separate database of single-use tokens. When a user requests a password change, we generate a unique random token, keep the token in the database and send it out to the user. If user did not request a token, the user need not react, the password was not changed and the token will harmlessly expire some time later. When the user needs a password change, he provides the token back to the service in a password change form (or through a clicked URL) and that allows us to perform this secondary authentication and then change the primary password. And that’s the way to do it. There are variations where the secondary channel can be an SMS, an automated telephone call, or even an actual letter from the bank. But the important thing is that those messages only provide a token that verifies your identity on the secondary channel before allowing a security relevant operation on the primary channel. Next, we will look at an example procedure for a website in Part 3. A widespread mechanism is to use so-called “secret questions”. This probably originates with the banks and their telephone service where they ask you several questions to compare your knowledge of personal information with what they have on file. In the times before the internet this was a fair mechanism since coming up with all the personal information was a tough task that often required physically going there and rummaging through the garbage cans to find out things. Still, some determined attackers would do precisely that – dumpster diving – and could gain access to the bank accounts even in those times. Right now this mechanism is, of course, total fallacy. The internet possesses so much information about you … It is hard to imagine that questions about your private life would remain a mystery to an attacker for long. Your birthday, your dog, your school and schoolmates, your spouse and your doctor – they are all there. It is hard to come up with a generic question that would be suitable to everyone and at the same time would not have the answer printed on your favorite social network page. And even if it is not. Imagine that the secret question is “what’s your dog’s name?” How many dog names are there? Not as many as letter combinations in a password. And the most common dog names are probably only a handful. So it is by far much easier to brute force a security question than a password. This mechanism of secret questions and answers is antiquated and should not be used. There is a variation where you have to provide your own question and your own answer. This is not better. Most people will anyway tend to pick up the obvious questions. The attacker will see the question and can dig for information. The answer will usually be that one word that is easy to brute force. So, no good. And, by the way, what should you do when you are presented with this folly on a website you use? Provide a strong password instead of the answer. Store that password in whichever way you store all the other recovery passwords. All other rules for password management apply. So much for secret questions. In the next part, we will see how to do password recovery with a secondary channel. “The world’s largest professional association for the advancement of technology” has been thoroughly embarrassed in an accident where they left their log files containing user names and passwords open for FTP access to all on the Net for more than a month, according to a DarkReading report. Or, at least, I think they should be embarrassed although they do not seem to be very. The data for at least 100 000 members were exposed and IEEE took care to close the access. However, having access to the log files is not what I think they should be embarrassed about. As the things go, mistakes in configuration happen and files may become exposed. That’s just life. However, what is really troublesome is that IEEE, the “world’s largest professional association for the advancement of technology” (according to themselves), has logged the usernames together with passwords in plaintext. I mean, we know that’s bad, and that’s been bad for at least a couple of decades. They are definitely at least a couple of decades behind on good security practices. I think that’s really embarrassing. Do not use sequential numbers for user ids. Do use random numbers for user ids. Do not use any scheme for user names that ties (semi-)public user information to the user name. Use user nicknames (aliases) if “natural” user names are not sufficiently unpredictable. Allow users to change user names. The last point was not mentioned previously but it is quite logical, isn’t it? The system identifies the user by a fixed random user id. But the user identifies itself to the system by a nickname that can be changed once the user is logged in and his id is known. Here is something quite interesting. Nobody ever considers the user names. They are just sort of “given”. Well, are they? Most of the time, they are not. They are assumed and designed into the system one way or another. And they can have an impact on security. An old saying goes that a secure Windows computer is the one that is switched off, locked in a safe and dumped into the ocean. That goes for any other system and still leaves a tiny chance of a deep water diver break-in. We cannot make a computer system impenetrable. What we can do is make it harder for an attacker. One of the ways to make it just that bit harder is to choose good user names. What’s a good user name? What is a user name? What is a user id? What is user identification? What on Earth is the difference? Hold it there, it’ll be all right in a minute. I promise I will try to be as unscientific about it as possible. Let’s start by making a distinction between what you think of as your user name and what the system thinks of as your user identification. In a normal traditional system design those are different things. And in security conservatism is a good trait. Historically, the users were identified with numbers, account numbers. Still, in most systems internally the users are identified with account references, usually numbers. We will call these “user id”. Originally, users used the account numbers, the user ids, to log in to the system. Nowadays they usually don’t. Typically users use some kind of aliases to log in, those being user names, e-mail addresses and so on. We will call these “user names”. Functionally, only one property is important for both the user id and the user name. They must be unique within the boundaries of the system. This is quite normal, no? The system must be able to distinguish between users, so the ids must be unique. The log in procedure must refer the user name to a single user id, so the user name must also be unique. Simple. What are the security requirements to the user ids and user names? The user names have to be unpredictable to help fighting the brute force attacks. We know very well that the most popular password is “password”. If an attacker knows the user names on the system, he can try all of them with the password “password” and he may get lucky. Another important issue is the lockout of users, also known as a denial-of-service attack. If the system locks users out after three unsuccessful attempts and the user names are known, an attacker can go through all user names and perform those three attempts, locking everyone out of the system. So unpredictable user names make an attacker’s life difficult. Mind you, unpredictable user names, not necessarily random user names. We must distinguish between two very different cases now. In one case the user base is automatically versatile and the user names selected for some semi-obscure reason are sufficiently diverse. For example, you have a website where people register with their email addresses from all over the world. Those are hard to predict. They are not random but making an exhaustive search for user names is technically hard. So you are lucky and you can leave things as they are. On the other side, if your user base is fairly uniform, selecting something else as an identifier would work better. Suppose you run a company and all registered users belong to your company. If you select email address as an identifier, the attacker’s life suddenly becomes much easier. Get the list of people and there you go, you know all user identifiers. In this case letting users select their own identifiers, for example, would work much better. Do not be tempted into assigning the employee numbers, that are usually sequential, as user names. Letting people come up with aliases, nicknames is a really good idea then. Let’s come back to the user ids now. For the user ids, unpredictability also matters. Suppose that there are methods in your application that take user id as a parameter to perform some operations, perhaps, viewing the user record. Then knowing the user id makes it easy to view user records and finding information about users and the system. And don’t count too much on your access control, it may fail some time and the only thing that will stand between your users and the attacker will be the unpredictability of those numbers. Remember, that’s what went wrong at Citibank. And, really, you have nothing to lose – the computer does not particularly care what kind of numbers it is crunching. So, what’s a good strategy for the user ids? There is only one: the user ids must be random. They do not really need to be generated from cryptographically strong random numbers but they must be sufficiently random as to be unpredictable for an external observer a.k.a. the attacker. Oh, and UUIDs are not unpredictable, just in case you were wondering. What’s a good strategy for user names? They must be unpredictable. Either they are already because you have a diverse user base and all you have to do is to force no additional scheme on them. Or your user base is uniform and then you must come up with a scheme to introduce unpredictability, the easiest being to use nicknames. For an extra bit of fun: Default Admin Username and Password list. May be useful, you know.